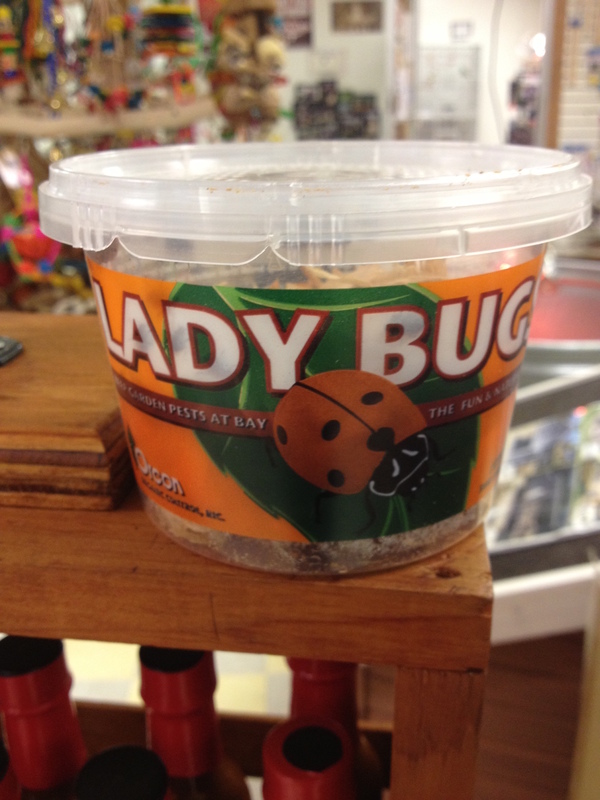 These popular little bugs are said to bring good luck and some say their arrival means fair weather is on the way— Well, ladybugs have just arrived at Russell Feed & Supply stores! 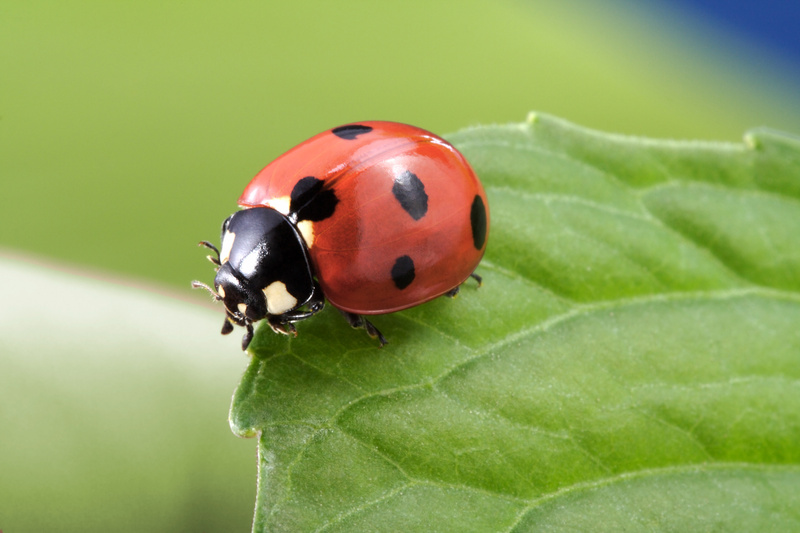 Our ladybugs may not guarantee your luck but these “good bugs” are an effective alternative to chemicals for controlling aphids, mealy bugs, scale, leaf hoppers, various plant-eating worms and other destructive soft-bodied pests. When released at sundown (because they don’t fly at night), ladybugs will continue eating until the bad guys are gone, laying their own eggs in the process. 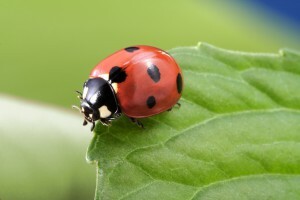 When new pests arrive, fresh ladybugs will be waiting. USE: Ladybugs prefer to eat aphids and will devour up to 50 a day, but they will also attack scale, mealy bugs, boil worm, leaf hopper, and corn ear worm. They dine only on insects and do not harm vegetation in any way. 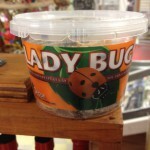 RELEASE: Ladybugs should always be released after sundown since they only fly in the daytime. During the night, they will search the area for food and stay as long as there is food for them to eat. The more they eat the more eggs they lay and the more insect-eating larvae you will have. It is best if the area has been recently watered. Ladybugs tend to crawl up and toward light. So release them in small groups at the base of plants and shrubs that have aphids or other insects, and in the lower parts of trees. RECOMMENDATIONS: Ladybugs may be kept in a refrigerator after they are received (35 — 40 degrees F.) and released as needed. Ladybugs received March through May should not be stored more than 2 or 3 days since their body fat has been depleted. From June on, they may be stored 2 or 3 months. LIFE CYCLE: Ladybugs mate in the Spring and lay yellow eggs in cluster of 10 to 50 on the underside of leaves. About five days later the larvae emerge and will eat about 400 aphids during their 2.5 week cycle. The larvae look like tiny black caterpillars with orange spots but do not eat vegetation. These Ladybugs have been pre-fed a special protein diet which indicates to them that they have already reached the lowlands and should continue feeding immediately. This retards their natural instinct to fly when released. This entry was posted on Friday, May 15th, 2015 at 6:50 pm	and is filed under Articles & Videos, News & Updates. You can follow any responses to this entry through the RSS 2.0 feed. Both comments and pings are currently closed.